The Coupe can spike your hot chocolate with any alcohol of your choice, but the bar's specialty is the Dionysus Chocolate ($10). During this stretch of bitterly cold weather, snuggling up with a warm beverage is the perfect escape from the outdoors. Hot chocolate is a classic drink for the colder months, and adding a bit of alcohol to your mug can warm you up even more. 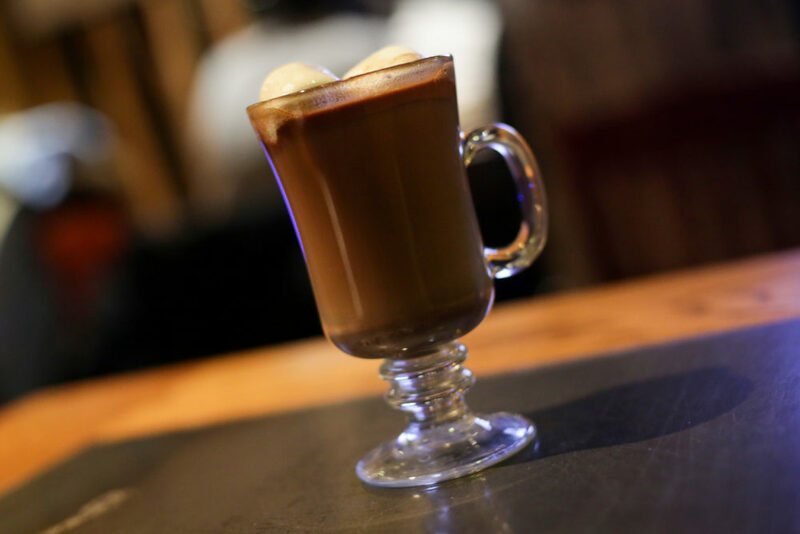 As the winter months drag on, bars and restaurants around D.C. have a cure for the cold that infuses hot chocolate with liquors like bourbon, rum or Irish cream. If you typically go for a simple glass of wine, try something new at The Coupe, where wine is added to this winter staple. This cozy Columbia Heights coffeehouse and bar – run by the same people behind popular spots like Tryst and The Diner in Adams Morgan – is open late at night with plenty of seating, lounge chairs and a fully-stocked bar. The Coupe can spike your hot chocolate with any alcohol of your choice, but your best bet is to try their specialty, the Dionysus Chocolate ($10). The frothy drink is served in a tall glass mug and made of dark chocolate syrup, steamed milk, chocolate liqueur and Cabernet Franc. The wine is quite potent, so if you’re a cabernet fan, this is the drink for you. 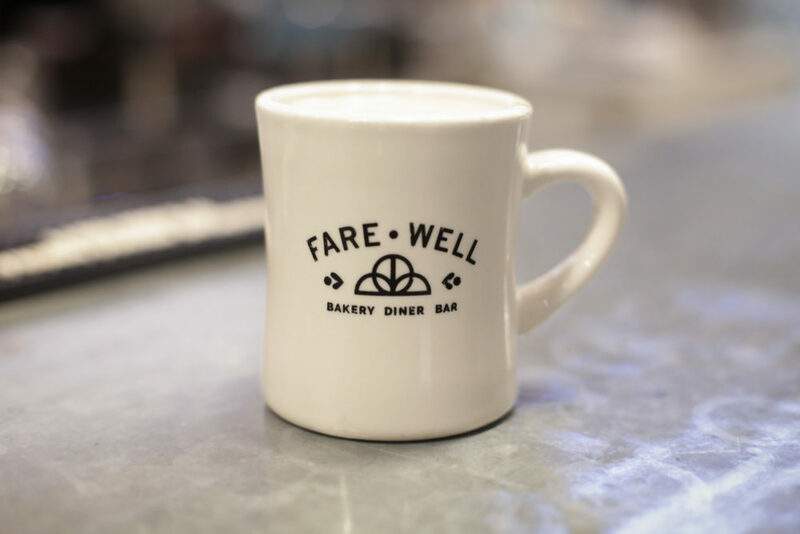 At Fare Well, you can order a slice of cake or a cookie alongside a decadent cup of spiked hot chocolate ($5.50). 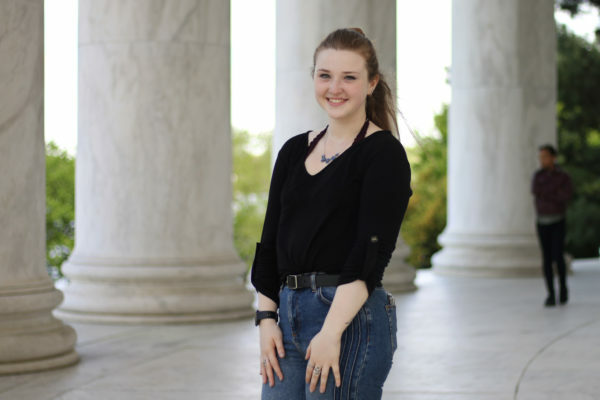 If you want to indulge but need a dairy-free option, make your way up to H Street Corridor to visit Fare Well. This tiny, diner-style venue specializes in vegan comfort food in a homey, yet modern setting. Run by the makers of Sticky Fingers Sweets & Eats, you can order a slice of cake or a cookie alongside a decadent cup of spiked hot chocolate ($5.50). The drink is made with oat milk, making it extra creamy, and is spiked with an alcohol of your choice like whiskey or vodka. If you’re apprehensive about a vegan hot cocoa, no need to worry – the oat milk is barely discernible from the dairy version and makes the texture just as creamy. 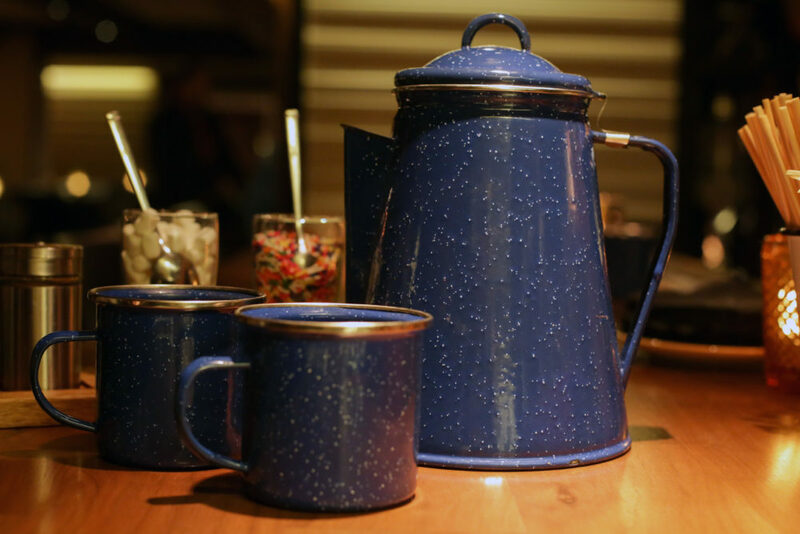 At Radiator, you can gather some friends and order one big pot of hot cocoa at $5 per person that comes with marshmallows, crumbled Heath bars, sprinkles and cinnamon to customize the top of your drink. If you’re not the only one in your friend group craving a boozy, warm drink, head to Radiator in Logan Circle. This chic hangout offers a long list of craft cocktails and globally-inspired small plates to share at its cozy bar or on its heated outdoor patio – if you’re willing to brave the cold. At Radiator, you can gather some friends and order one big pot of hot cocoa at $5 per person that comes with marshmallows, crumbled Heath bars, sprinkles and cinnamon to customize the top of your drink. You can enjoy the virgin version or choose how you’d like the spike your drink with options like creme de menthe, Irish cream or chacho, a jalapeno-infused liquor, for an additional $5 per person. 1430 Rhode Island Ave. NW. 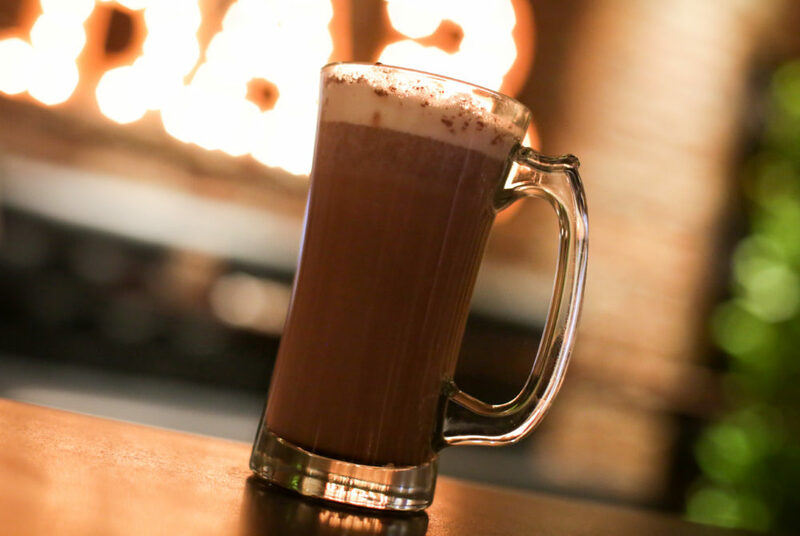 At Tonic, you can order a hot buttered chocolate for $11, which consists of house-made chocolate butter, marshmallows and Kraken dark spiced rum. If the thought of traveling too far from campus in the bitter cold is unbearable, you’re in luck. You can stroll over to Tonic and order a hot buttered chocolate ($11), which consists of house-made chocolate butter, marshmallows and Kraken dark spiced rum. Tonic’s hot chocolate concoction is a bit milder than the others, so if you’re looking for a hot chocolate that won’t get you too tipsy, this is your best bet. The flavor is rich – more similar to melted chocolate than traditional hot cocoa – and it is topped with large fluffy marshmallows that add extra sweetness.